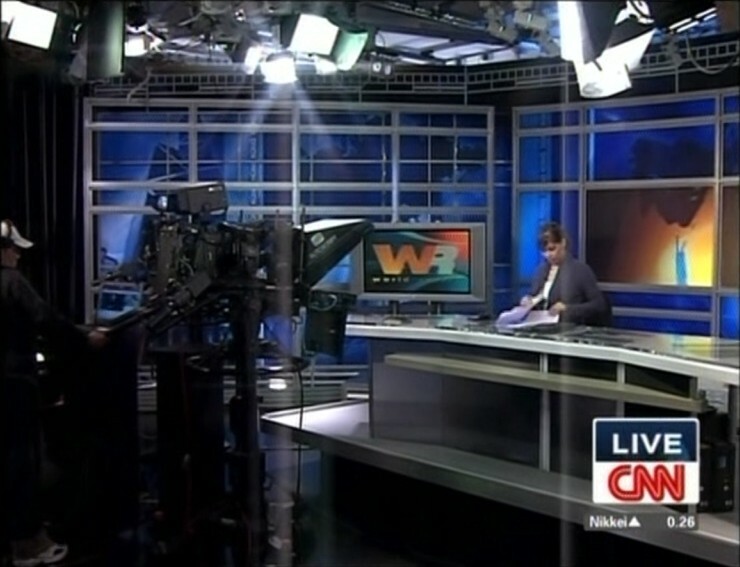 CNNI’s Hong Kong bureau has debuted an updated set to match the refreshed sets in Atlanta and London. The set had no structural changes made to it, but all graphics were changed out to new blue colored ones. Thanks to CNN Observations for the pictures and tip. Another picture after the jump.